I decided to season this batch with looots of black pepper, a little bit of paprika, and pair it with some really bright + savory cilantro yogurt sauce – which, it turns out is a pretty delicious match! If you wanted to take it up a notch you could even add a dash or two of cayenne pepper OR ancho chili powder to the carrots as well. I think that smokey flavor would be spot on when paired with the cooling yogurt! And of course there’s some roasted almonds for some crunch factor! Always gotta think about that crunch factor. The dish comes together pretty darn easily – just how we like it. 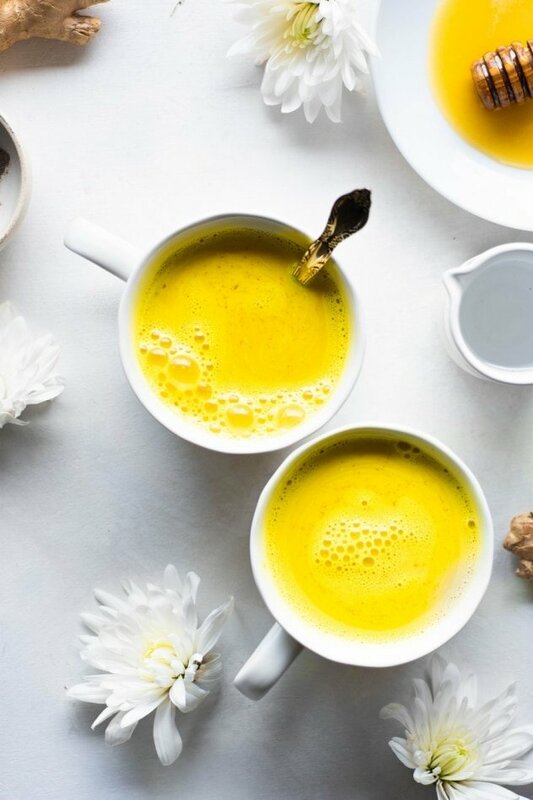 Real food in less time is always a good thing. 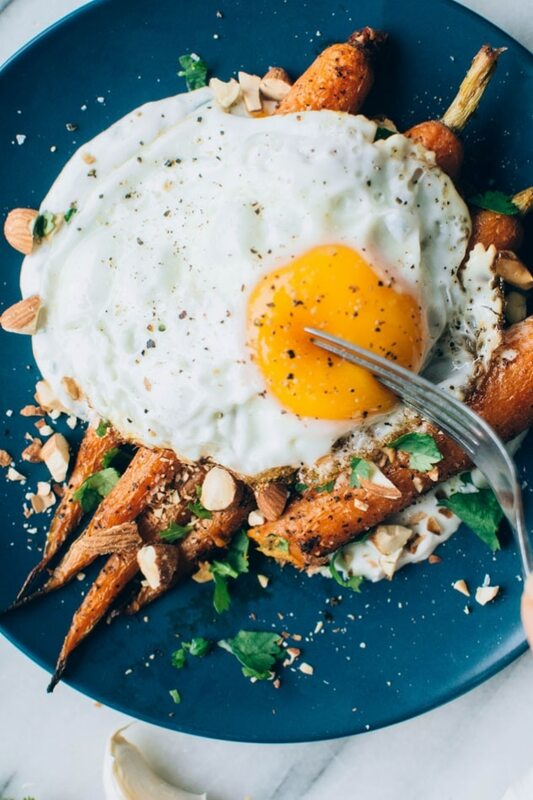 You’ll start by toasting your almonds (if you buy raw almonds instead of already roasted – which I tend to prefer anyway so they don’t lose their bite), and while they roast you can prepare the carrots by breaking off the greens and giving them a good little scrub, especially up by the top where the green meets the carrot. I like leaving that part on but there always seems to be some gunk hanging out in there. It’s not necessary to buy carrots with the tops on but I try to since you know that they’re fresh and will have the highest nutritional value! Once the almonds are done the carrots go into the oven all slicked up with some avocado oil (or another high heat cooking oil of choice) and coated with black pepper to roast to perfection. And while the carrots are roasting you can throw together the yogurt sauce! 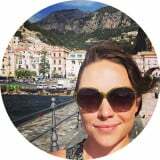 I realized after I made it that this yogurt sauce actually has pretty similar ingredients in it as my Easy Garlic Dill Cashew Sauce, except it’s made with cilantro instead of dill (and yogurt instead of cashew cream, obvi) – BUT that made me wanna point out that this recipe could EASILY be made dairy free by substituting the cashew sauce (with cilantro instead of dill) for the yogurt sauce. You could also made some kind of delicious tahini sauce with the same flavor profile, too. 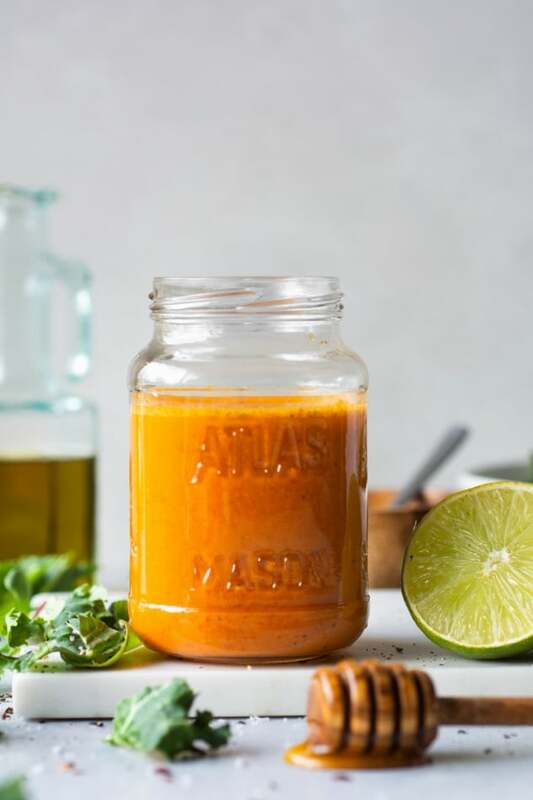 Tahini sauces usually need to be thinned out with a little water to get a perfectly creamy consistency, but that would be another excellent option! Aaand team sauce over here got a little off track  – but you get the idea with where my mind is wandering! I know you guys agree with me. 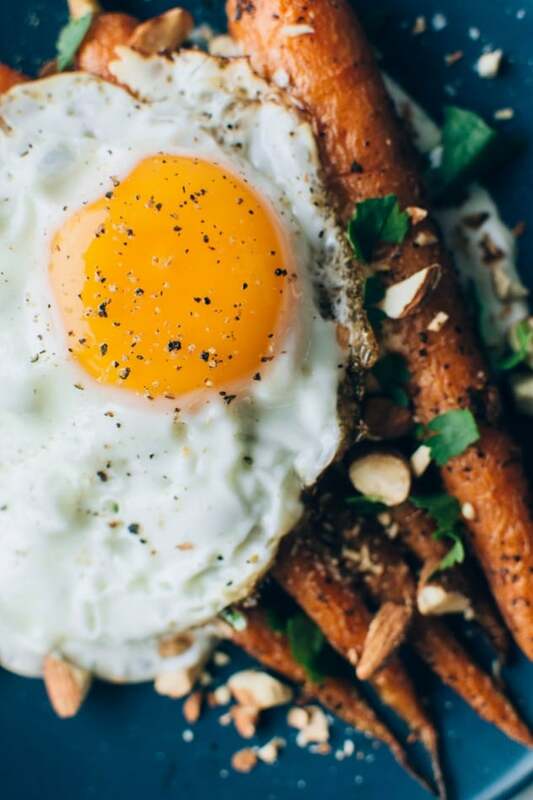 Now let’s rock this week with some super easy + healthy black pepper roasted carrots cuz you guys deserve GOOD food that nourishes and energizes you from the inside out. Sounds like a pretty good way to have an awesome week, right?! 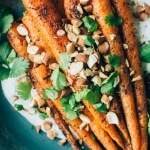 Black pepper roasted carrots with savory cilantro yogurt and roasted almonds are super easy and flavor packed to the max! 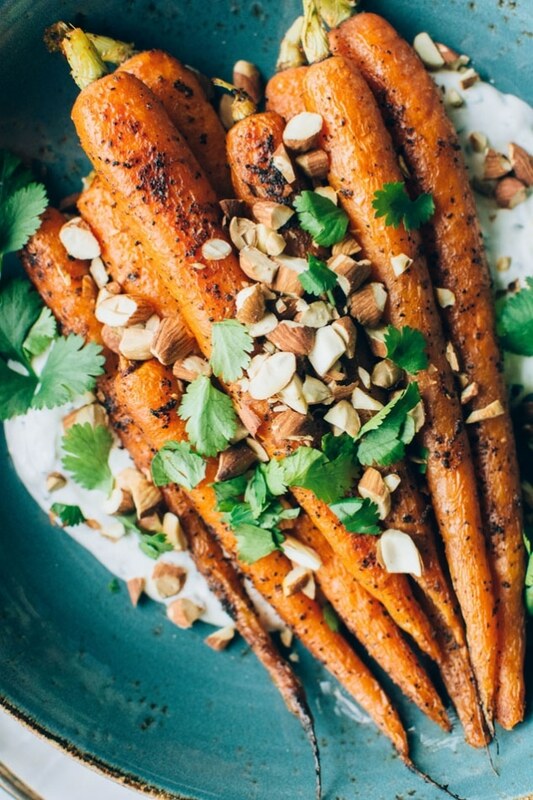 The carrots are seasoned with black pepper, a little bit of paprika, and paired with a bright + savory cilantro yogurt sauce – the perfect combo! Topped with some roasted almonds to add some texture and crunch for the win! Put almonds on a baking tray and roast for 5 minutes, until aromatic and starting to brown. 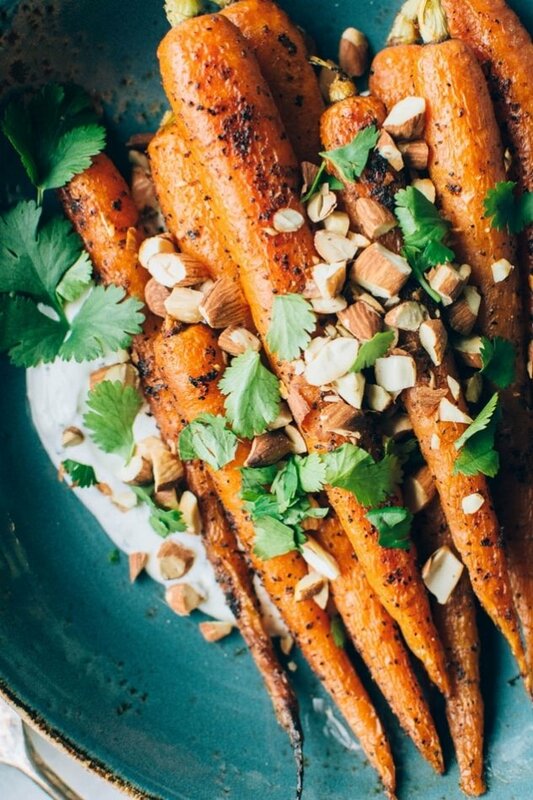 While almonds are roasting, start prepping carrots. Break off green tops of carrots, and wash well, scrubbing away any dirt or nasty bits near the tops. Dry thoroughly, toss to coat with avocado oil, black pepper, salt, and paprika. Remove almonds from oven if you haven’t already and move to a plate to cool. Transfer carrots to oven and set time for 10 minutes. 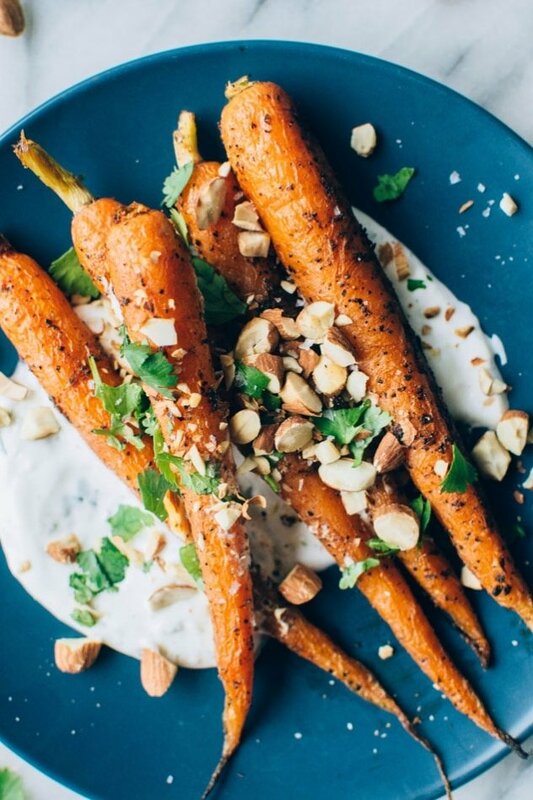 While carrots are roasting, make yogurt sauce. 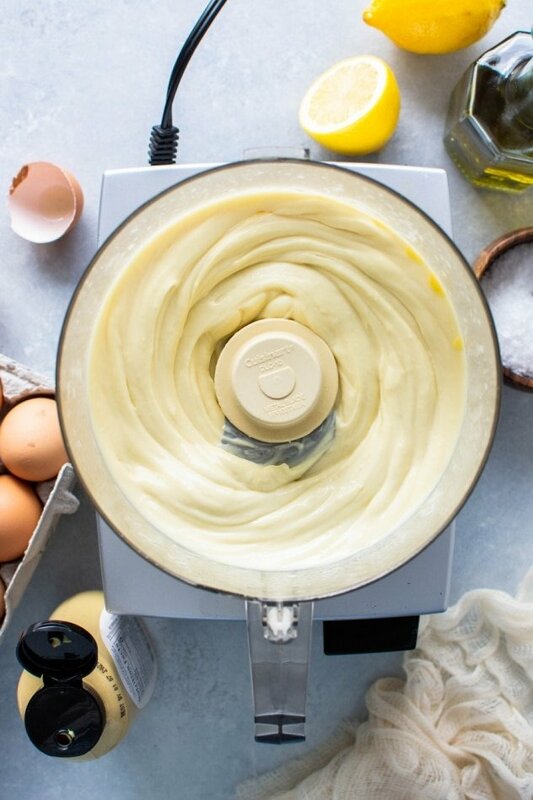 In a large bowl, whisk together yogurt, grated or pressed garlic clove, salt, lemon juice, maple syrup and cilantro. Taste and adjust salt / lemon if desired. Remove carrots from oven, toss, and test for doneness. Unless they’re very skinny you’ll most likely have to return them to the oven for another 5-8 minutes depending on size. You want them to be quite soft, and starting to brown. 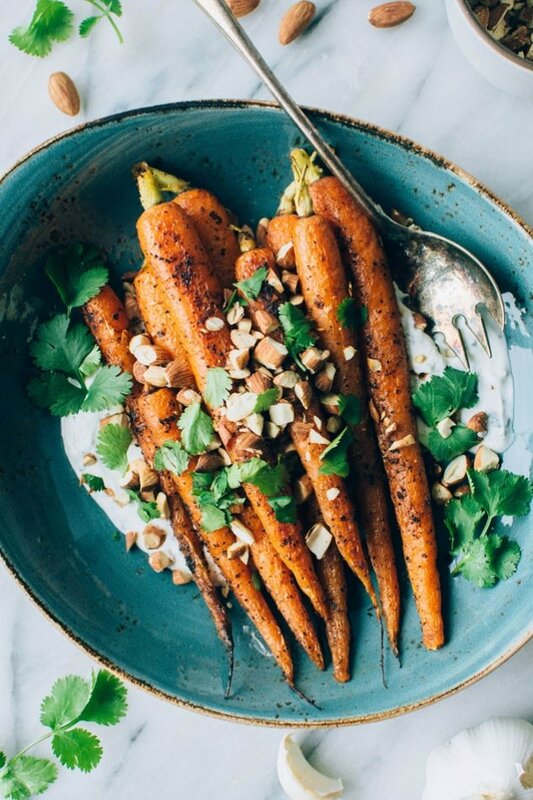 While carrots finish roasting, chop almonds and cilantro. 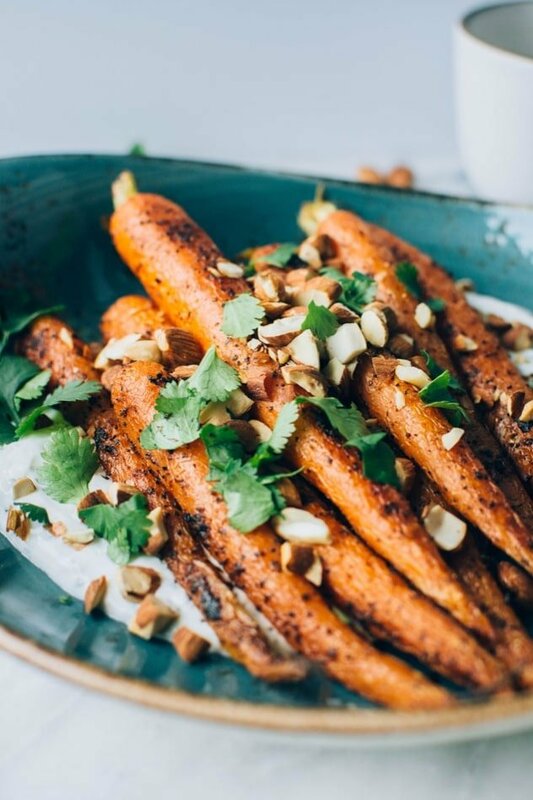 Spread some of the cilantro yogurt on the bottom of serving tray, top with black pepper roasted carrots and garnish with chopped almonds, torn cilantro and some flaky sea salt. 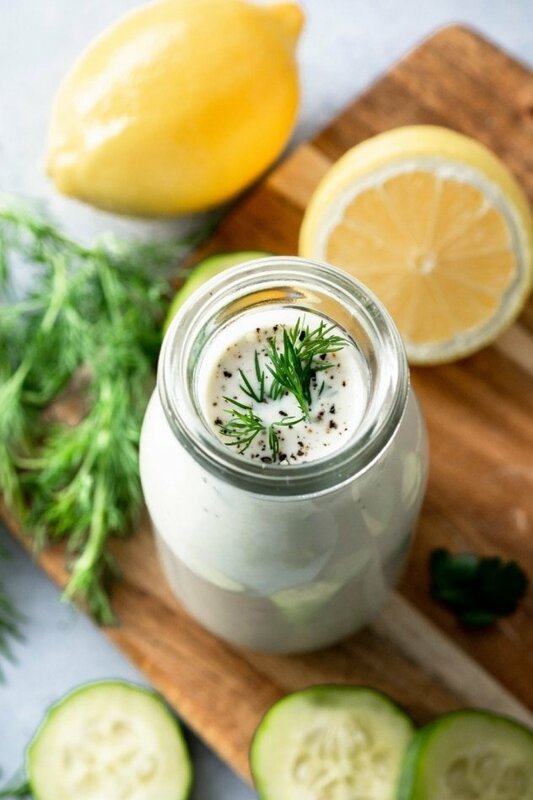 For a dairy free option try making this Easy Garlic Dill Cashew Sauce and replace the dill with cilantro instead of the cilantro yogurt sauce!